P1 AquaX recently announced the support from BRP for P1 AquaX USA for 2014. The P1 AquaX tour kicks off in Daytona Beach, Fla., April 26-27. Industry leading PWC manufacturer BRP Sea-Doo announced this week they are committed to continuing their support for P1 AquaX USA. As one of the market leaders in recreational PWC’s for more than 25 years, Sea-Doo continues to support competitive PWC racing, and were first on the scene to support AquaX USA in it’s inaugural season in 2013. As well as partnering AquaX USA, Sea-Doo will continue to support all professional racers within the PWC race industry with their X-TEAM Bounty funds for both event and Championship winners. 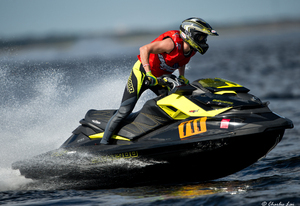 A program offered to all racers in any USA Championship riding a Sea-Doo.